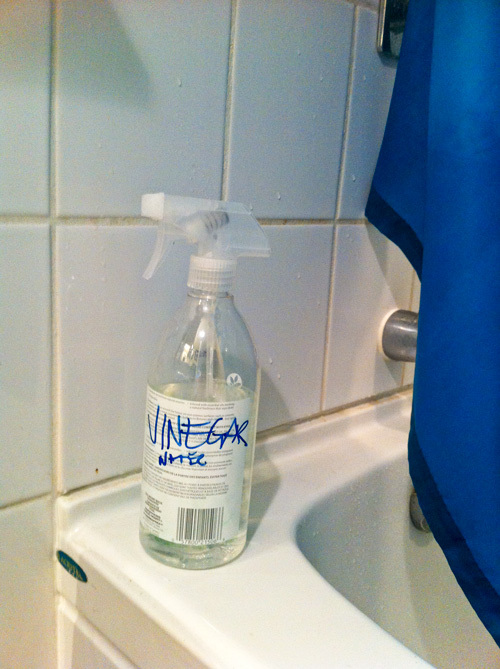 The bottle lies: it’s actually hydrogen peroxide (1 part), vinegar (2 parts), and water (fill ‘er up). This works just like those shower sprays that cost you anywhere from $3 to $7 (sure it doesn’t have the fancy “surfacants” – or chemicals – in it, but I’m thinking a tablespoon of salt would do the trick if you really wanted to add it). 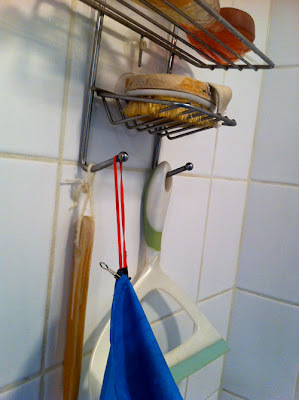 Combined with regular squeegeeing of the tiles keeps soap scum down and lengthens the time between real scrubbings. Yup, I’m a bit odd. And now you know more about me.